Learning Objects (LOs) are units of e-Learning content that can stand on their own and deliver a certain portion of knowledge independently. LOs are intended to be granular and reusable. This granularity often allows you to play with a LO as if it is a brick in a bigger knowledge structure. Or perhaps, another way to understand them is to say that a LO is one dish in a huge buffet dinner. The one dish can also be eaten independently and would satisfy some hunger. Today, we have e-Learning tilting towards just-in-time learning and byte-sized learning areas. The dynamics of learning also propound that learning content must be reusable and shareable across different platforms. It is not uncommon for organizations to utilize the services of multiple LMSs to capture a wider audience and address all their learning needs. To this end, managing LOs is also very vital and will only become more significant in the time to come. The tagging and meta-data organization of LOs is crucial to their usability. It will allow systems to search through them more effectively and help an instructional designer get better access. Why is that important? It is important for the content creators to have easy access to the LOs so that they can use them seamlessly across their course. If the process to fetch them is going to be tedious, then a creator might think that he or she is better off creating one! Also the meta-information needs to be organized properly. If I am searching for a LO about glass-shaping and the same LO also deals with glass-heating, I am potentially going to save time if I possess that information. Certain LOs can also act as ‘bridges’ between different LOs. These can help the learner catch up with the previous LO and introduce him to the basics of the forthcoming one so that the ride is smooth. This is especially strategic today since we have more learners who are not going to consume our entire course in one or even a few sittings. Such bridges then help us save the learner from a jarred learning experience. 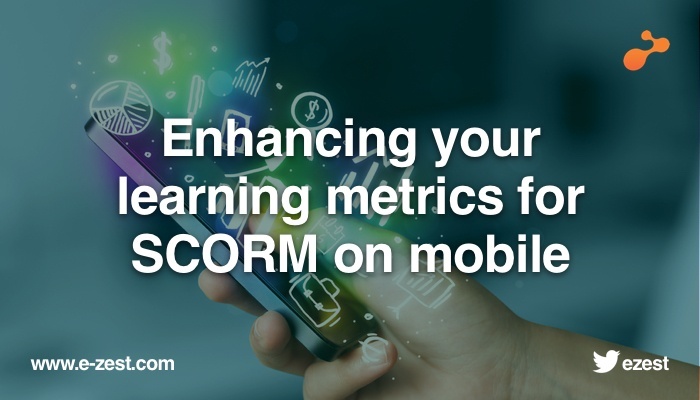 Technically, LOs can be SCORM objects that are designed to run independently inside an LMS. These SCORM objects can also be ported to different courses to be used there. Here again, it is important for a LO to sport responsive design. Imagine if you find just the perfect LO to plug into the near-perfect course and alas! It doesn’t scale nearly as well as the other parts of the course. With the growth of the mobile and the tablet in e-Learning it makes sense to have responsive LOs. LOs can be managed by any software that can upload and download SCORM zip files. Easily done? But the hard part is having the means to play with each block and also having the facility to quickly put together a bunch of them to see how the output looks like. This can also transform ordinary technicians into part-time course developers. While hardly a replacement for the actual skill of Instruction Design, this can surely serve as a boost in the efficiency of the course delivery machinery especially if the courses are variations of each other and don’t need much rework. LOs will ultimately assume the places of micro-courses and learners with even low-bandwidth will be able to download one LO at a time to consume one digestible unit of the content. It’s going to be a job for both the technocrats and the learning experts to design platforms and content respectively to help the creation of more powerful, scalable Learning Objects.